Our highly consistent business model, continues to create significant intrinsic value for our shareholders. Since our IPO in 2006, total enterprise value has grown at a compound annual rate of more than 30%. Steady growth in passenger traffic, our strong position on diverse and growing platforms, and significant opportunities to complete accretive acquisitions give us confidence that we can continue our onward and upward trajectory of profitable performance. Please see our disclosure regarding non-GAAP financial measures and forward looking statements under the link titled “Disclosure”. 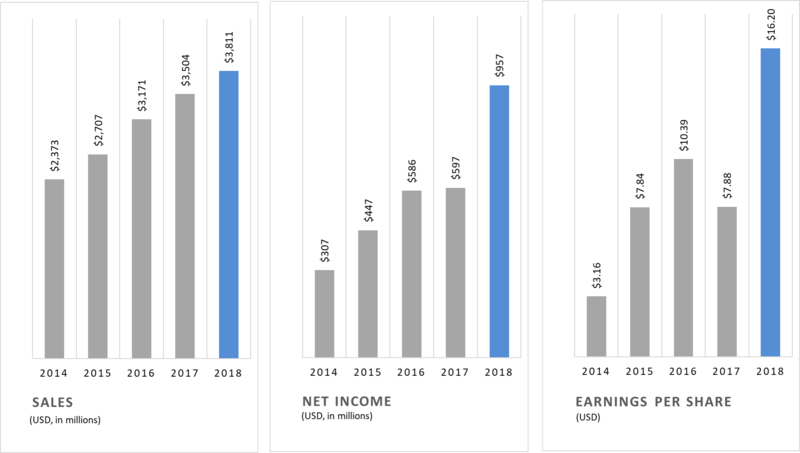 Adjusted Net Income is a non-GAAP financial measure presented here as supplemental disclosure to net income and reported results. Please see link titled “Reconciliation” for a reconciliation of Adjusted Net Income to net income. Adjusted Earnings per Share is defined as Adjusted Net Income divided by diluted shares outstanding. 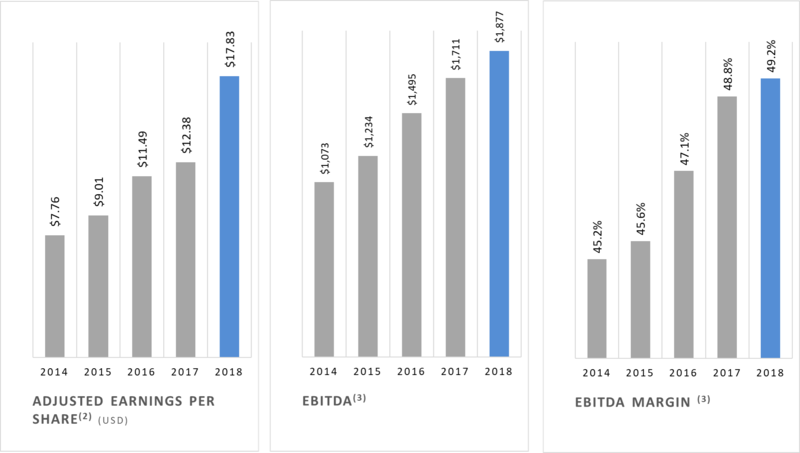 EBITDA As Defined is a non-GAAP financial measure presented here as supplemental disclosure to net income and reported results. For a presentation of the most directly comparable GAAP measure and a reconciliation of EBITDA as Defined, please see the link below titled “Reconciliation”.